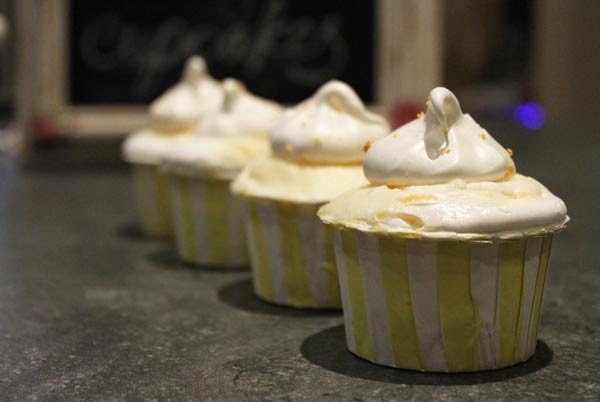 I hollowed out a little of the centre and dropped in a little lemon curd, then I added a dollop of the meringue filling on top. I then made a lemon cream cheese frosting (from Peggys book) and spread this on the top of the cupcake, in a kind of rustic fashion. 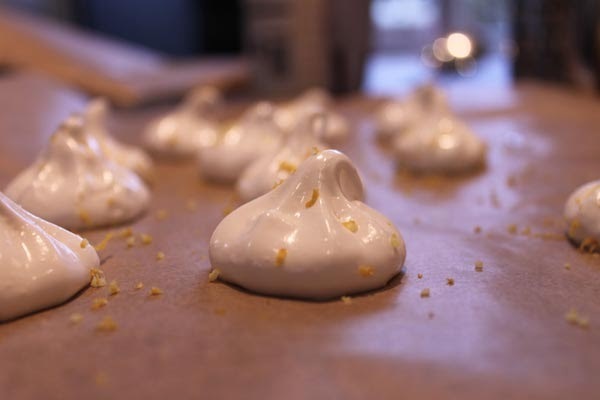 I then made some meringue kisses for a little added crunch on the top - this is also one of Peggys recipes which you can find here. I added some lemon juice to the mixture, just a touch and some lemon rind and grated some over once I had piped them. I didn't have any food colouring, but I quite likes these little ones white. They are not the most perfectly iced cupcakes but believe me, when you bite in to one - you won't care what it looks like. These are SO delicious. 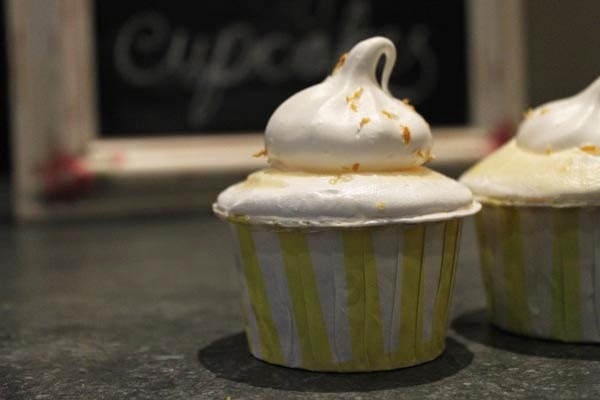 The flavour is intense, yet subtle and with the added creaminess of the frosting and the crunch of the meringue kiss, it's just so delicious. Here they are all in a row, pretty much the order I ate them in ! If you haven't already, do buy yourself a copy of Peggy's beautiful book. It really is the sweetest thing ! 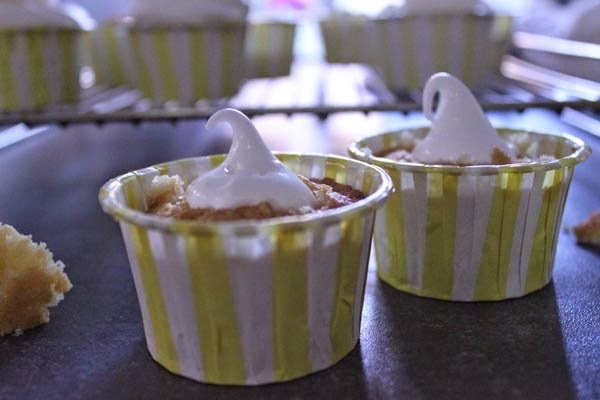 The cupcake cases are from the lovely Iced Jems and I really loved baking with these !